Make The Christmas Ice Caverns An Annual Tradition! Last December, we spent a day visiting some Christmas and holiday attractions that we hadn’t been to before. 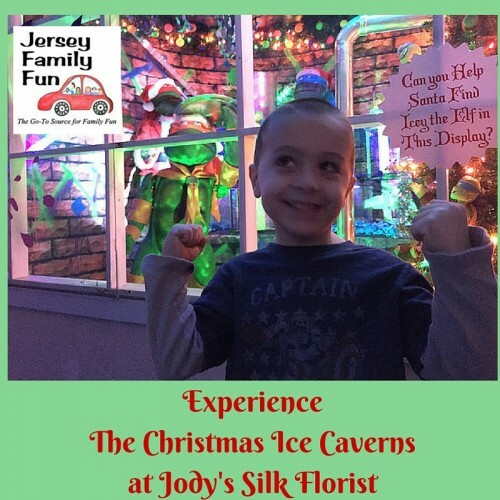 Despite having family in the area, somehow we hadn’t been to the Christmas Ice Caverns at Jody’s Silk Florist in Fairfield. The Ice Caverns remind me of the old time NYC shop windows from when I was growing up, and are an experience I’m happy I can share with my children. The displays are updated for each year so even if you’ve been before, there will be new things to see. 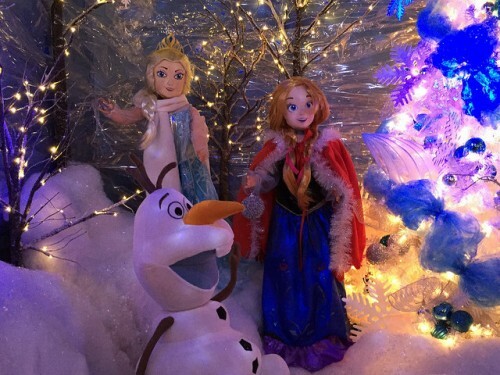 Last year, we were treated to displays with our favorite characters! We saw Anna and Elsa, Teenage Mutant Ninja Turtles and Minnie and Mickey. 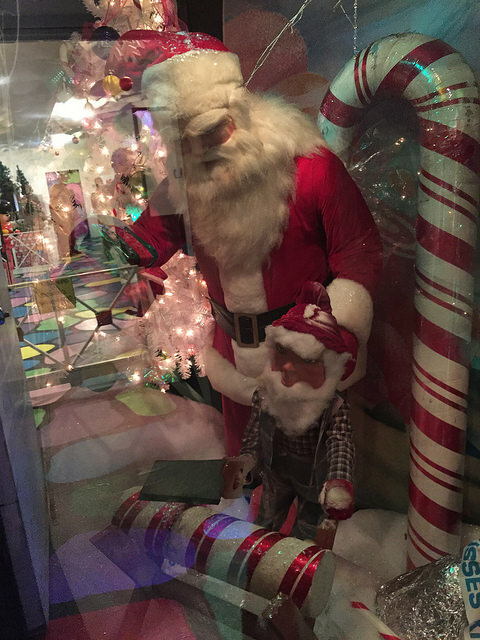 As you walk through the darkened hallways you can look for Icey the Elf, who is hiding in each window display. There’s of course the traditional winter and Christmas scenes, with so much detail you’ll find yourself standing at the windows much longer than you’d expect. The displays are accessible so wheelchairs and strollers are welcome! You also can’t miss the great Christmas Store, which reminds me of the days when Fortunoff had unique Christmas decorations that you could spend hours looking at. 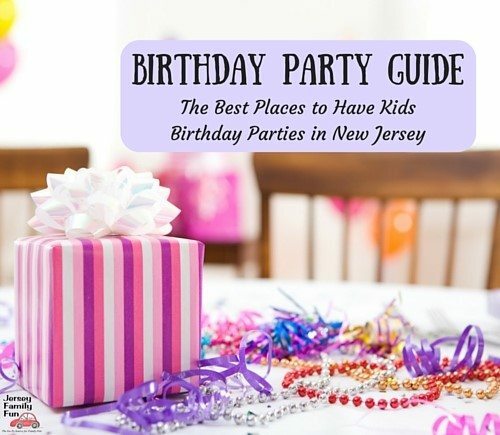 There are toys as well so you may just find that perfect Christmas present while you visit! Santa is on site for pictures from now until December 24th. Jody’s Silk Florist/The Christmas Store is at Route 46 West in Fairfield. The store is inside the Fairfield Home and Garden Center Plaza. You can learn more at their site.